JON SAVAGE’S 1965: THE YEAR THE SIXTIES IGNITED. When The Chipmunks released The Chipmunks Sing With Children on January the ‘1st’ 1965, it didn’t look as this was the start of a landmark year for popular music which would totally transform the popular culture forevermore. However, by the time The Beatles’ released their classic album Rubber Soul and The Who released their debut album My Generation on the ‘3rd’ of December 1965, critics and cultural commentators were realising they had just documented one of the most important years in the history of popular music. It’s documented on Jon Savage’s 1965: The Year The Sixties Ignited which was recently released by Ace Records. During 1965, many innovative, influential and important albums, including John Coltrane’s A Love Supreme, Herbie Hancock’s A Maiden Voyage, The Byrds’ debut album Mr. Tambourine Man, Bob Dylan’s Highway 61 Revisited, Otis Redding’s Otis Blue, The Beatles’ Rubber Soul, The Who’s My Generation and The Lovin’ Spoonful’s Do You Believe in Magic? These albums are a reminder that 1965 was a good year for music. 1965 was also the year when LSD and marijuana infiltrated mainstream pop. Many musicians embraced LSD and/or marijuana which influenced their music. This would continue to be the case throughout the psychedelic era which had just begun. Music was definitely changing. Bob Dylan had decided during the first half of 1965 that it was time for his music to change. This wouldn’t please his legion of fans, including those who witnessed his set at Newport Folk Festival on July the ’25th’ 1965. That day, he was backed by The Paul Butterfield Blues Band, who knew what was about to happen. The audience had no idea that Bob Dylan was about to plug-in. Soon, his once loyal legion of fans were booing as Bob Dylan’s music moved in the direction of folk-rock. However, for many watching on at home, this must have seemed almost inconsequential. The Vietnam War was raging, and American planes bombed parts of North Vietnam later in 1965. Still, though, large numbers of American soldiers died in Vietnam, and it was looking as if the Vietnam War was going to be long and bloody. Some commentators thought it was a battle that America couldn’t win. By May 1965, an anti-Vietnam teach-in took place at the University of California Berkeley. Opponents of the war including Norman Mailer, Norman Thomas and Dr. Benjamin Spock were among the speakers and attendees. Meanwhile, in the real world, Australia joined the Vietnam War and 1965 was proving to be an eventful year in America. On February the ’21st’ Malcolm X the African-American muslim minister and human rights activist was assassinated by three members of the Nation of Islam. By then, the thirty year old was regarded by his detractors as a controversial and divisive figure who preached racism and violence. Nowadays, Malcolm X is regarded as one of the most important and influential African-Americans of the twentieth century. So too is Civil Rights leader Dr. Martin Luther King, who in March 1965, had organised a peaceful demonstration for African-American civil rights and voting rights. That day, he led a 3,000 strong crowd as they marched from Selma to Montgomery in Alabama. On their first two attempts to cross the Pettus bridge, the 3,000 strong crowd was stopped by State Troopers. It was only on their third attempt, that the crowd backed by the US Army and National Guardsmen were able to cross the Pettus bridge, and enter Montgomery, where they were met by 30,000 people who wanted to join the demonstration. That day, it became clear that the Civil Rights Movement was getting its message across and starting to make a difference. The following month, the Palm Sunday Tornado Outbreak struck the American Midwestern states on April the ‘13th’ 1965. This tragedy resulted in the death of over 260 people, while 1,500 others were injured. It would take a while before the Midwest recovered from this tragedy. Meanwhile, the Gemini Space Program continued, even after the Ranger 8 crashes into the Moon following what had been a successful mission to photograph possible landing sites for the Apollo program. Four years later, America won the space race when Neil Armstrong and pilot Buzz Aldrin set foot on the moon on July the ’20th’ 1969. That was still to come. Three months after Dr. Martin Luther King led a 3,000 strong crowd across the Pettus Bridge, President Lyndon Johnson signed The Voting Rights Act of 1965 into law in August 1965. In doing so, this guaranteed African-Americans the right to vote. In 1965, President Lyndon Johnson also announced his program to create the Medicare program, which was part of his “war” on poverty. This was another important piece of legislation, and one that had a long-lasting impact on Americans. It was a similar case across the Atlantic, when The Race Relations Act 1965 came into force to stop unrest in some British inner cities. However, in other parts of the world, there was unrest and bloodshed. American citizens had to be evacuated after the civil war in the Dominican Republic began. Meanwhile, in Indonesia an attempted coup d’état by communists lead to the murder of over 500,000 people and a new regime led by Major General Suharto. However, America wasn’t immune to carnage and bloodshed. On August the ‘1st’ 1965, the Watts Riots, in California began at 7.00pm. By the time the curfew was lifted on the ‘17th’ of August 1965, 34 people were dead and 1,032 had been injured. This included ninety Los Angeles police officers, 136 firemen, ten National Guardsmen, twenty-three people working for various government agencies and 773 civilians. During that sixteen day period, in excess of 600 buildings were set on fire and looting was rife. Over 200 buildings were destroyed during the Watts Riots in August 1965. Three months later, thirty-million people were affected in parts of the North East of America and Canada by what’s known as the 1965 Northeast Blackout. What was the result of human error, brought large swathes of North America two a standstill for four days. This was just the latest event to affect Americans during what had been an eventful year. Despite this, 1965 is remembered by many as the year Bob Dylan plugged in, The Beatles played at Shea Stadium and The Grateful Dead featuring lead guitarist Jerry Garcia made their debut in San Francisco, where the Merry Pranksters continued to advocate the use of LSD. On both sides of the Atlantic marijuana and LSD were the drug de jours even amongst mainstream pop musicians. Many record buyers were also experimenting with marijuana and LSD and had decided turn on, tune in, drop out way before Timothy Leary coined the phrase in 1967. Everything seemed to be changing, from music to attitudes to drugs and even fashion. Men were growing their hair long and women wearing the mini skirt which Mary Quant had invented during 1965. Britain and America’s moral guardians were horrified at how much their respective countries had changed by the ’31st’ December 1965. However, that night, critics, cultural commentators and record buyers raised a glass and agreed that 1965 had been a great year for music. Some of the music released during 1965 features on Jon Savage’s 1965: The Year The Sixties Ignited, which is a two CD set that features forty-eight tracks. This eclectic collection features classics, hit singles, slow burners and hidden gems. There’s folk, garage rock, pop, psychedelia and rock n roll, plus funk and soul. These songs defined 1965, and captured the mood of a nation. Opening disc one of Jon Savage’s 1965: The Year The Sixties Ignited is Unit Four Plus Two’s Concrete and Clay which was the third single from the folk harmony group that featured Rod Garwood, Hugh Halliday, Howard Lubin, David Miekel, Tommy Moeller and Pete Moules. They had released their debut single The Green Fields in 1964, which stalled at forty-eight in the UK. Worse was to come when Sorrow and Pain failed to chart later in 1964. However, Concrete and Clay was a game-changer and reached number one in April. It’s a reminder of a much more innocent age that even today is a favourite on oldies stations. When Marianne Faithfull released a cover of Jackie DeShannon’s Come and Stay With Me in February 1965, she was just nineteen, but had already enjoyed a hit with her debut single As Tears Go By which had reached number nine in the UK in 1964. The followup was a cover of Bob Dylan’s Blowin’ In The Wind failed to chart later that year. However, Marianne Faithfull’s career got back on track when she released Come and Stay With Me. Strings and a harpsichord augment her heartfelt vocal on a single that reached number four. Little Marianne Faithfull realise that his was the biggest single of her career. Martha and The Vandellas released their soulful stomper Nowhere To Run on Gordy in March 1965. It combines social comment and a hook courtesy of the Holland, Dozier Holland songwriting and production team. Fifty-three years later, and Nowhere To Run has stood the test of time, unlike many releases baring the Gordy or Motown label. Down in Memphis in 1965, Booker T. & The MG’s were Stax’s studio band, but were also enjoying a successful recording career. 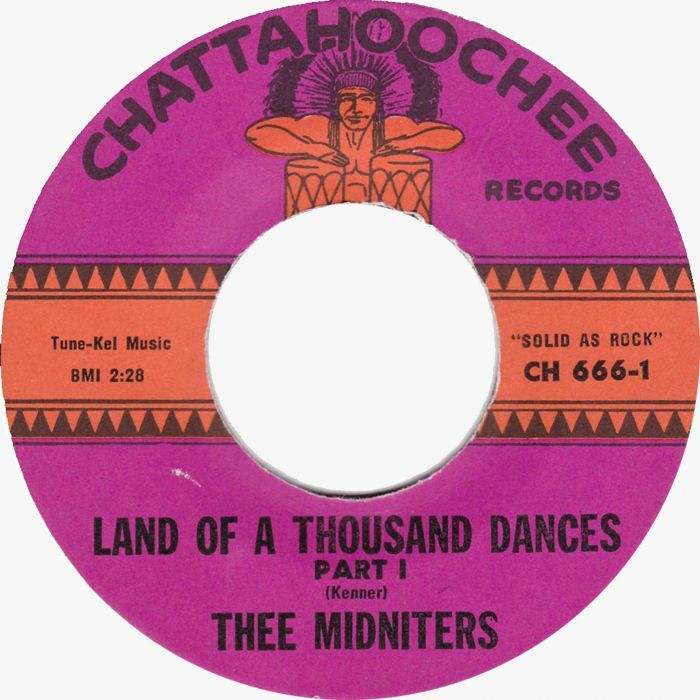 When they released Bootleg as a single in April 1965, it stalled at a lowly fifty-eight in the US Billboard 100, but reached ten in the US R&B charts. Three months later, Bootleg was released in the UK, but failed to chart, and this carefully crafted and irresistible instrumental was the one that got away for Booker T. & The MG’s. While America had The Byrds, rather confusingly Britain had The Birds. They’re best known for serving their American counterparts with a writ when they arrived in Britain in August 1965. This publicity stand didn’t exactly further their career, and two years after releasing a cover of Holland, Dozier Holland’s Leaving Here in April 1965 The Birds were no more. However, Leaving Here where garage rock meets proto-punk and reminiscent of The Who early in their career, is The Birds’ finest moment and a reminder of what they were capable of. In May 1965, The Hollies release I’m Alive a joyous and optimistic anthemic single on Parlophone. Alan Clarke’s vocal seemed to speak for a generation as this new era unfolded. It was no surprise when I’m Alive topped the UK charts in the summer of 1965. Many people won’t have heard of Vashti, who was just nineteen when she released a cover of the Jagger-Richards composition Some Things Just Stick In Your Mind as her debut single. Sadly, Vashti’s debut single failed to find the audience it deserved. It was forty years later when a new audience discovered the Queen of Psych Folk’s music. Nowadays, Vashti Bunyan has a cult following, and has released a trio of albums since making her comeback in the noughties. May 1965 saw The Who released their sophomore single Anyway Anyhow Anywhere on Brunswick. They swagger their way through this Pete Townsend’s composition, playing with confidence and an assuredness. In doing so, they unleash a myriad of bleeps and squeaks while feedback squeals and surf harmonies augment Roger Daltrey’s strutting lead vocal. It was no surprise when Anyway Anyhow Anywhere reached number ten in the UK, as The Who in the summer of 1965. 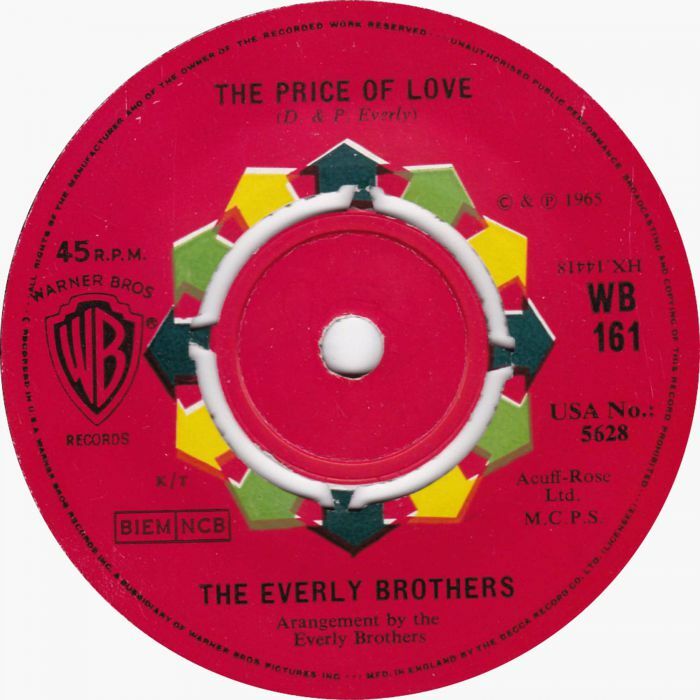 The Price Of Love with its bluesy harmonica and pounding bass drum was very different to The Everly Brothers previous singles. Don and Phil Everly realised they had to reinvent their sound as clean-cut duos were rapidly going out of fashion. This worked and The Price Of Love reached number two in the UK. Detroit based The Sonics released Boss Hoss as a single in America in May 1965. Its explosive sound is a glorious assault on the senses, as drums powered the arrangement along, while a saxophone wailed and the vocal was raw and raucous. The result was a track that married elements of garage rock and proto-punk. Alas, the single failed to chart, and since then, this hidden gem has been appreciated by a small coterie of musical connoisseurs. Heart Full Of Soul was the first single The Yardbirds released that featured virtuoso guitarist Jeff Beck. It was released by Columbia in June 1965, and features a sophisticated and complex arrangement. Choral harmonies rub shoulders with a fuzz guitar plus Eastern and gothic influences to create progressive, mystical and memorable sounding single. When it was released it reached number nine in the US Billboard 100 and two in the UK. The Kinks’ See My Friends which closes disc one of Jon Savage’s 1965: The Year The Sixties Ignited, was penned by Ray Davies, who hoped that their latest single would transform the groups’s fortunes. 1965 wasn’t the most successful year of The Kinks’ career, and things didn’t get any better when See My Friends was called a “dirge” in the music press. it was another case of critics not understanding a single were The Kinks’ deployed Indian influences and a 12-string guitar. They framed a vocal which spoke of loneliness and feeling alienated. This struck a nerve with younger record buyers, and the single gave The Kinks a surprise hit in the UK, where it reached number ten. 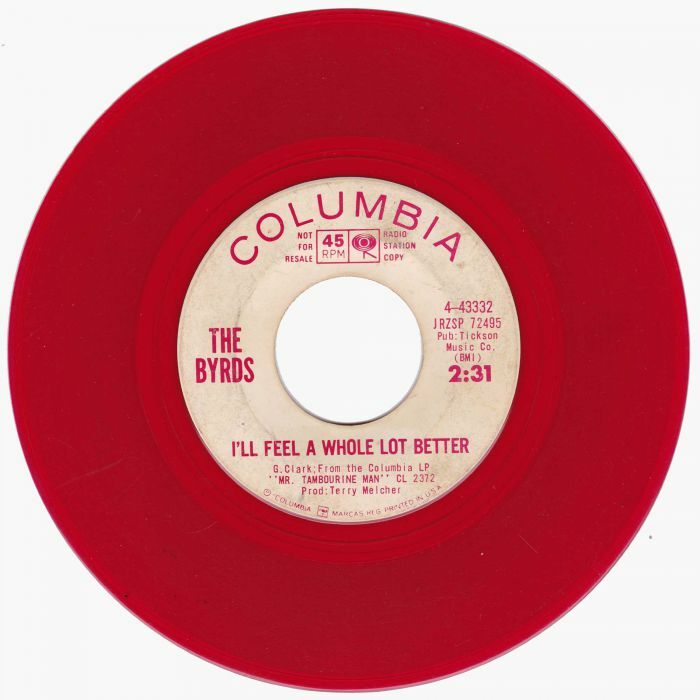 Disc two opens with The Byrds who released their first two folk rock albums during 1965. 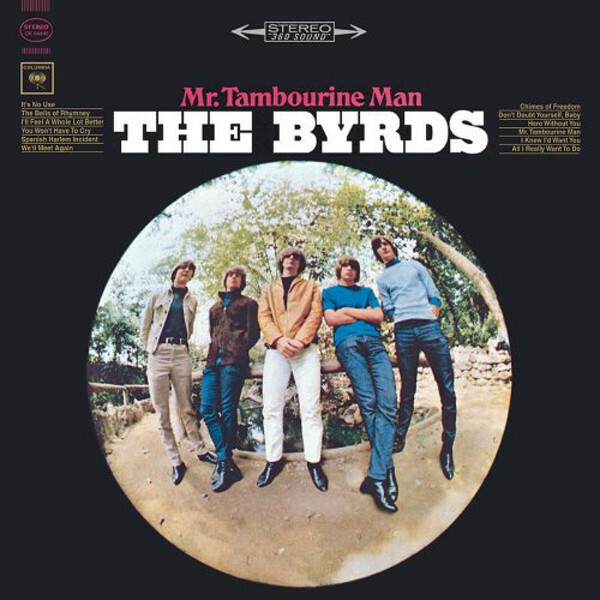 The Byrds debut album was Mr. Tambourine Man, which featured I’ll Feel A Whole Lot Better. It’s now regarded as one of the highlights of Mr. Tambourine Man. However, I’ll Feel A Whole Lot Better was originally relegated to the B-Side of All I Really Want To Do. This was a lost opportunity for The Byrds, who became one of the most important bands of the second half of the sixties. Musical chameleons The Seeds reinvented their music several times during their sadly short career. 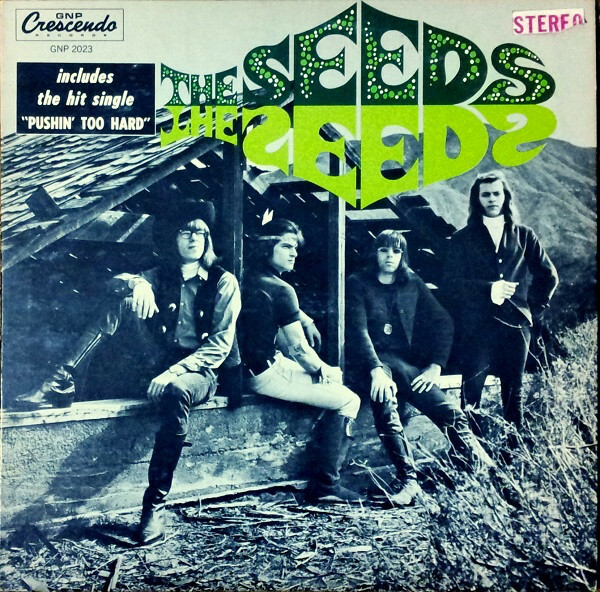 Led by Sly Saxon, The Seeds released Can’t Seem To Make You Mine as a single in August 1967. It reached forty-one on the US Billboard 100, and featured on The Seeds’ 1966 eponymous debut album. Nowadays, Can’t Seem To Make You Mine is quite rightly regarded as a garage rock classic. By 1965, The Pretty Things’ popularity was on the rise after enjoying hits with Rosalyn, Don’t Bring Me Down and Honey I Need. 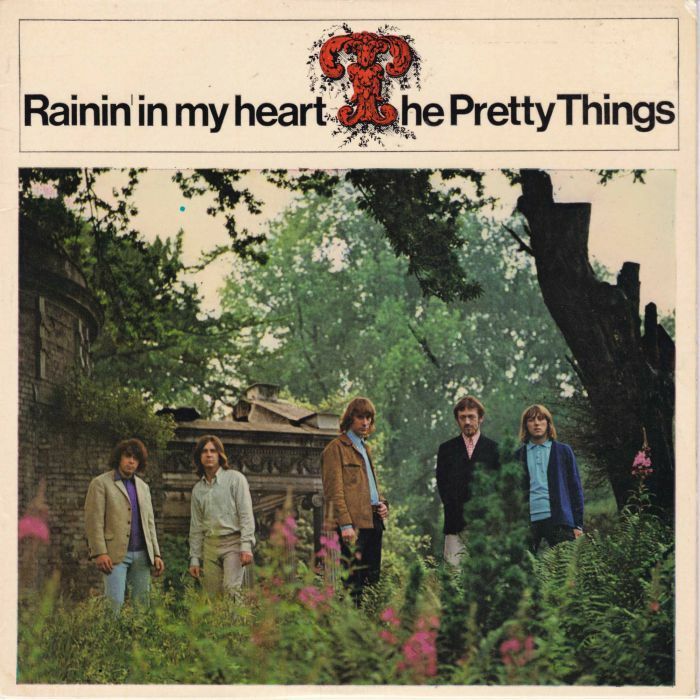 In August 1965, The Pretty Things released their Rainin’ In My Heart EP, which featured London Town. It finds The Pretty Things moving in the direction of folk-rock on a track that is not only atmospheric but lysergic. Fifty-three years later, and it’s a reminder of a talented, versatile and iconic British group who should’ve achieved greater success. 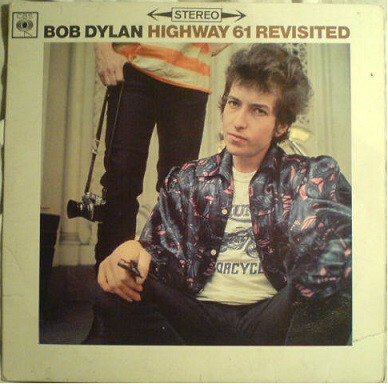 When Bob Dylan released Highway 61 Revisited, the penultimate track on the first side was From A Buick 6, which later featured on the B-Side to Positively 4th Street. From A Buick 6 is an oft-overlooked track that sounds as if it’s been inspired by Bobby and Shirley Womack’s It’s All Over Now. It has a raw, bluesy sound and finds Bob Dylan slashing at his guitar while delivering his distinctive and initiative nasally vocal. The addition of From A Buick 6 is a welcome one, and tantalising reminder of Bob Dylan’s classic album Highway 61 Revisited. By September 1965, the Bob Dylan songbook was a favourite of many singers and bands. They were looking for tried and tested songs that could give them a hit single. In Manfred Mann’s case, they chose Bob Dylan’s If You Gotta Go Now. When it was released by HMV, it reached number two in the UK. However, across the Atlantic the single failed to trouble the charts. All these years later, Manfred Mann’s cover If You Gotta Go Now has stood the test of time and is a reminder of a great British group and a legendary songwriter. When The Animals released It’s My Life on Columbia in October 1965, they had a come a long way since their early days playing in the clubs in North East of England. Back home in Newcastle, they were local boys who had made good. Eric Burdon’s band had five already enjoyed top ten singles in the UK. Soon, five became six when the uptempo and rocky It’s My Life reached seven in the UK and twenty-three in the US Billboard 200. It’s My Life was the last single The Animals released for EMI and their last before a new lineup of the band emerged in 1966. By then, The Animals had signed to Decca and a new chapter began for the group. Blow Your Mind which was released on Mirwood in October 1965 was the debut single by The Gas Co. It showcased a folk rock sound while Greg Dempsey’s sneering vocal is full of sarcasm. Kathy Yesse provides a foil and contrast during the choruses, on this hidden gem that sadly, failed commercially upon its release. In October 1965, The Shangri-Las released Right Now and Not Later as a single on the Red Bird label in the UK. It was produced by Shadow Morton, who also produced the song that was tucked away on the B-Side. 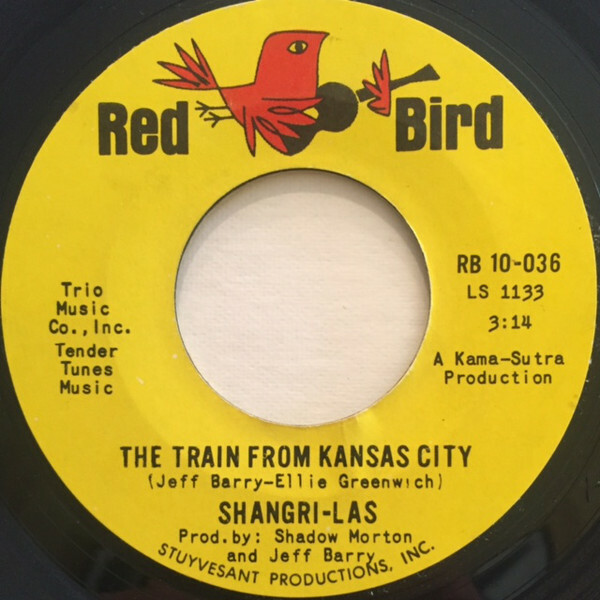 This was The Train From Kansas City which was written by Jeff Barry and Ellie Greenwich had formed a successful songwriting partnership. Their lyrics are full of heartbreak and teenage angst while Shadow Morton’s production seems to have been influenced by what was happening at Motown. One of the quintessential girl groups had recorded their take on a Motown dance track. Future Sunshine Superman Donovan, was an early adopter of the psychedelic sound on Sunny Goodge Street a track from his 1965 sophomore album Fairytale. 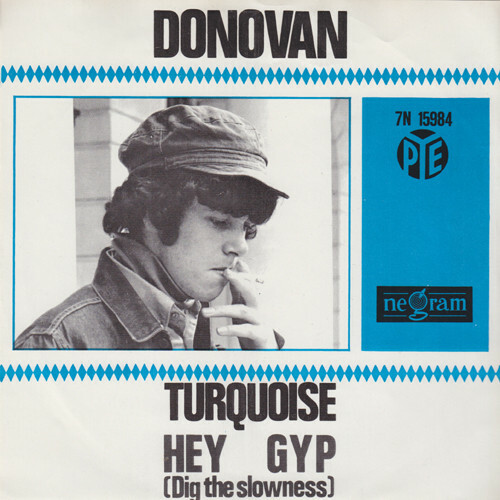 Donavon picked up the story on his composition Hey Gyp (Dig The Slowness), which was the B-Side of Turquoise which was released on Pye Records. Hey Gyp (Dig The Slowness) features Sunshine Superman, Donavon spinning an über lysergic tale that is rich in imagery. Link Wray had released eight consecutive instrumentals for Swan by 1965. This changed in October 1965 when Link Wray released a cover of Bob Dylan’s Girl From The North Country. This familiar song takes on new meaning as Link Wray paints pictures with his soul-baring vocal, and is accompanied by his trusty guitar and wailing harmonica. 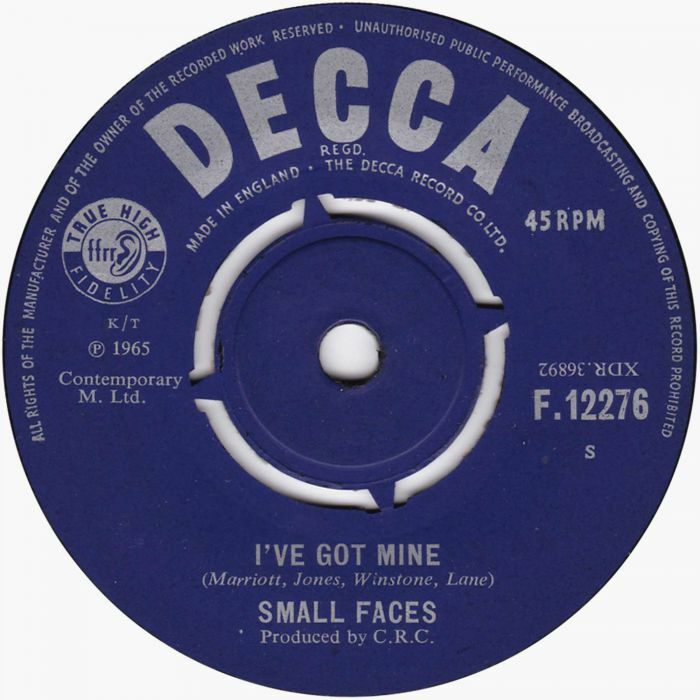 When the Small Faces released I’ve Got Mine in November 1965, it had already featured on the soundtrack to Dateline Diamonds. This didn’t help sales of what was the final Small Faces’ single to feature Jimmy Winston. He left the group in 1966, and was replaced by Ian McLaglan who was final piece of this musical jigsaw. Ian McLaglan was the final member of what became the classic lineup of the Small Faces and joined Kenney Jones, Ronnie Lane and Steve Marriot. However, I’ve Got Mine is an oft-overlooked single which marked the end of an era for the Small Faces. Closing disc two of Jon Savage’s 1965: The Year The Sixties Ignited is The Supremes’ My World Is Empty Without You. It was penned and produced by Holland, Dozier, Holland and released on Motown in America in December 1965. Soon, the single was climbing the charts, and reached number one. Although it’s dark and thought-provoking song about obsession, the arrangement follows the tried and tested formula which had served Motown and The Supremes so well. As a result, the Motown sound divided the opinion of record buyers in 1965, who either loved or loathed the Motown sound. 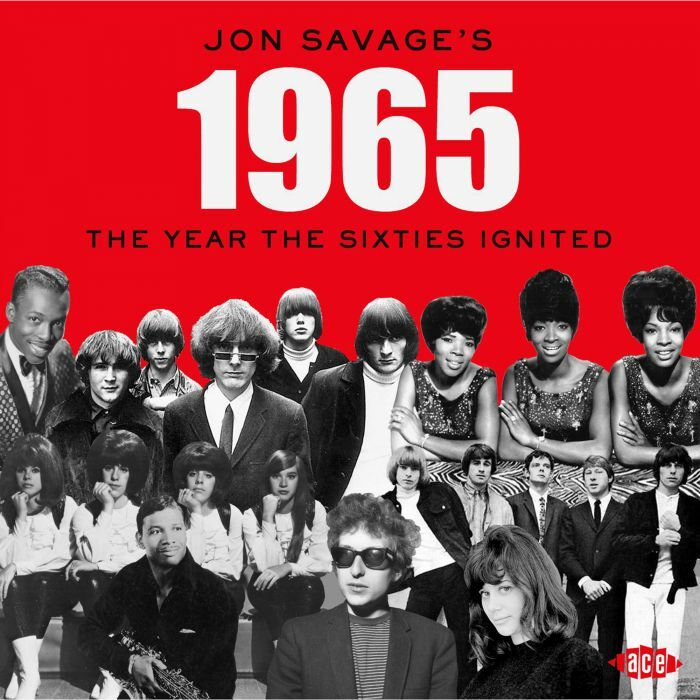 Jon Savage’s 1965: The Year The Sixties Ignited which was recently released as a two CD set by Ace Records, is the perfect companion to Jon Savage’s 1966 The Year The Decade Exploded and Jon Savage’s 1967 The Year Pop Divided. These three compilations chart how music changed between 1965 and 1967, and are a fascinating insight into how music and wider popular culture evolved. This lovingly curated triumvirate of compilations, especially Jon Savage’s 1965: The Year The Sixties Ignited are a perfect primer or reminder of what were three hugely important years for music. This change began in 1965, and is documented on Jon Savage’s 1965: The Year The Sixties Ignited which like the two previous volumes, oozes quality. It’s a truly eclectic compilation that features classics, hit singles, slow burners and of-overlooked hidden gems. There’s folk, garage rock, pop, psychedelia and rock n roll, plus funk and soul. The songs on Jon Savage’s 1965: The Year The Sixties Ignited defined 1965, and captured the mood of a nation. ← DOLORES VARGAS-“LA TERREMOTO” ANANA FUNK HIP 1970-75.